Julia Mullock, ex-wife of Yi Gu, the last prince of the Korean Empire, passed away aged 94 late last month in a nursing home in Hawaii. 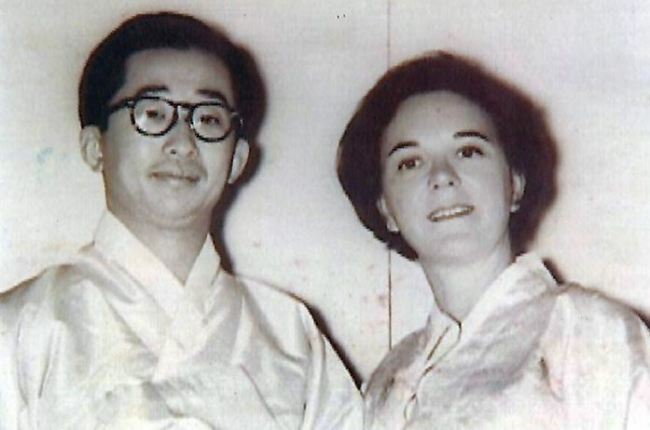 The Ukrainian American was called Julia Lee in Korea after marrying Yi Gu in 1958 in New York where the two met while working at the firm of architect I. M. Pei. Yi Gu was the only child of Yi Eun (1897-1970), crown prince and seventh son of King Gojong of the Joseon dynasty. King Gojong proclaimed the Korean Empire in 1897. “Julia Lee died of old age on Nov. 26 at the Hale Nani Rehab & Nursing Center in Hawaii,” Lee Nam-joo, a former music professor and distant nephew of Yi, was quoted as saying by Yonhap News Agency. The couple came to Korea in 1963 and began living in Nakseonjae at the palace Changdeokgung. They separated in 1974 and divorced in 1982 under pressure from the Yi clan council because she had failed to produce an heir. Yi then moved to Japan, while Julia Lee ran a fashion boutique in Korea until she settled in Hawaii in 1995. When Yi Gu died in 2005, the clan council did not invite Julia Lee to his funeral despite her wishes to see him a final time.